Mukand wadi/ Mukundvadi was adapted by Sindhis from the cuisine of Multan, a district in the Punjab province across the border, before the devastating partition of 1947 happened. Apart from Multani wadi, Sohan halwa and Dholi (Doli) rotis from Multan were popular amongst the people of Sindh. 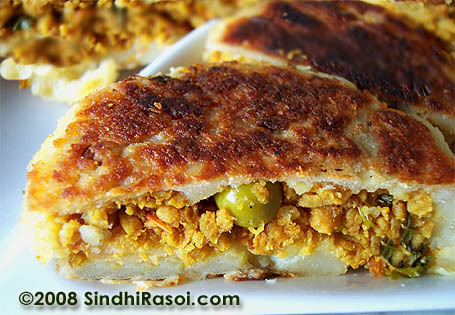 Post partition, many such traditional recipes started to dwindle away from the namesake kitchens of the makeshift homes of ‘‘Refugee” Sindhis. People were forced to cook and eat whatever was available around. Left with the daunting task of protecting the families living in most inhuman conditions, fighting an uphill battle to sustain without money or assets, it was tough for many Sindhis to stay connected to the roots. By the time the dust of brutal partition settled down, the elder Sindhis nursing the painful physical and emotional wounds, got so busy making the ends meet that the thoughts of preserving our culture, language, cuisine and folklore probably didn’t crossed their minds in that catastrophic scenario. Things changed for the better but a radical transformation in our culture left us confused and disorientated. 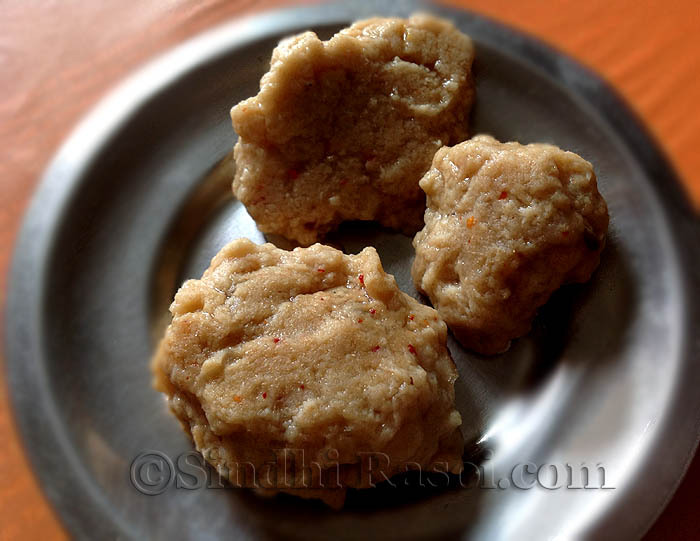 I also came to know that Urad dal wadis as well as Soya nuggets are also referred to as Mukundwadis, which I doubt. Can anyone clear this confusion, please? Today I will share the recipe to make Mukundwadis at home.My next post will be about a simple but delicious curry made by using these wadis. Kindly note that the authentic wadis were probably made without any spices. Mix salt and flour and knead a stiff dough using water. Let the dough rest for an hour or so. 1) Place the dough carefully, in a small tub of water and leave it undisturbed for sometime (5-15 minutes). The water will become white and cloudy. Drain it, fill the tub with fresh water, keep flipping and gently kneading the dough inside the water, and drain it again. Repeat the process till water no more turns white while washing the dough. 2) You can wash the dough without first soaking it in water. Just fill a small tub, place the dough, keep flipping and kneading it it gently till the water turns white. Drain and repeat till water stays clear. 3) I found this process simpler. 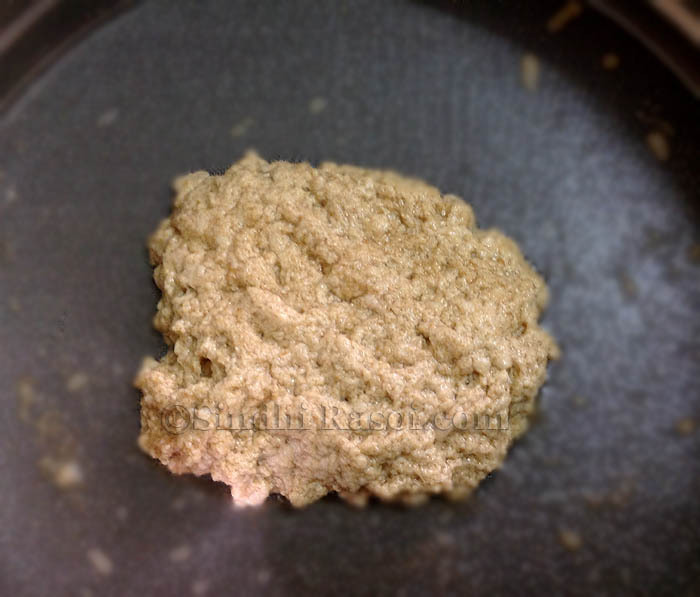 Place the dough in an atta chalni (sieve, as in picture), and place it under a gentle flow of water. Keep squeezing it gently, washing the dough till water flowing out of the chalni runs clear. Please note that with every wash, there is a significant loss of dough. During the process you might feel that you will be left with no dough by the end of the process, but that’s not going to happen. So relax! Supposedly if you start with 1 cup of kneaded dough, you might end up with less than 1/4 th cup of mukundwadi. Take a pan or steamer and add enough water to poach the gluten. Add all the ingredients listed under ‘for the stock’. Let the stock boil for few minutes and then drop the spiced up gluten pieces in to the boiling liquid. When the wadis start to float, lower the flame and let these cook for a while. Drain and let the wadis cool off completely. 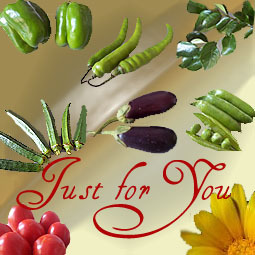 Heat some oil in a pan/[i] kadai[/i] and deep fry the [i]mukundwadis[/i] till golden brown. 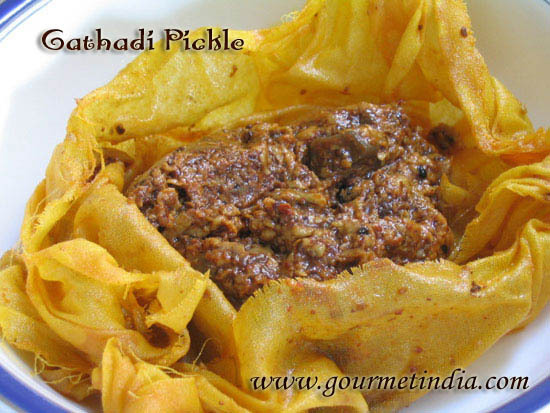 Mukund wadi or seitan , made from wheat gluten is spiced up, poached and fried to make mukundwadi curry. You can wash the dough without first soaking it in water. Just fill a small tub, place the dough, keep flipping and kneading it it gently till the water turns white. Drain and repeat till water stays clear. I found this process simpler. 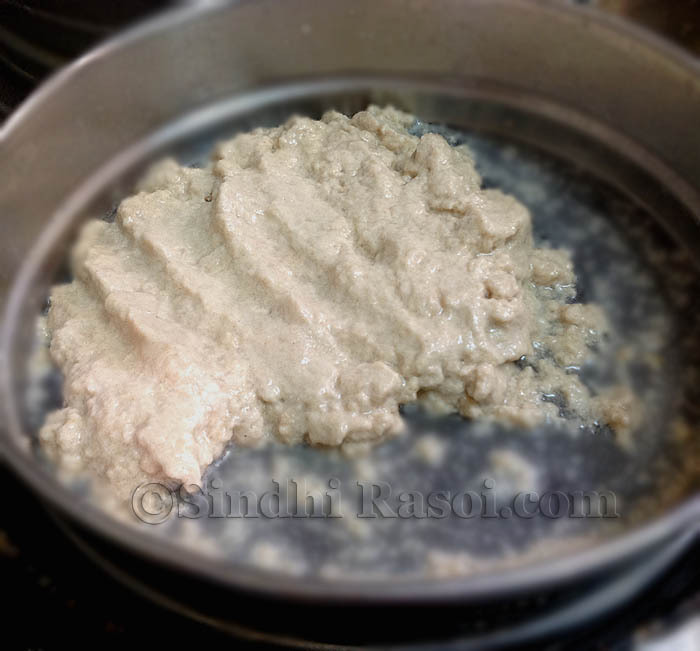 Place the dough in an atta chalni (sieve, as in picture), and place it under s gentle flow of water. Keep squeezing it gently, washing the dough till water flowing out of the chalni runs clear. Please note that with every wash, there is a significant loss of dough. During the process you might feel that you will be left with no dough by the end of the process, but that's not going to happen. So relax! Supposedly if you start with 1 cup of kneaded dough, you might end up with less than ¼ th cup of mukundwadi. Take a pan or steamer and add enough water to poach the gluten. Add all the ingredients listed under 'for the stock'. Let the stock boil for few minutes and then drop the spiced up gluten pieces in to boiling liquid. When the wadis start to float, lower the flame and let these cook for a while. 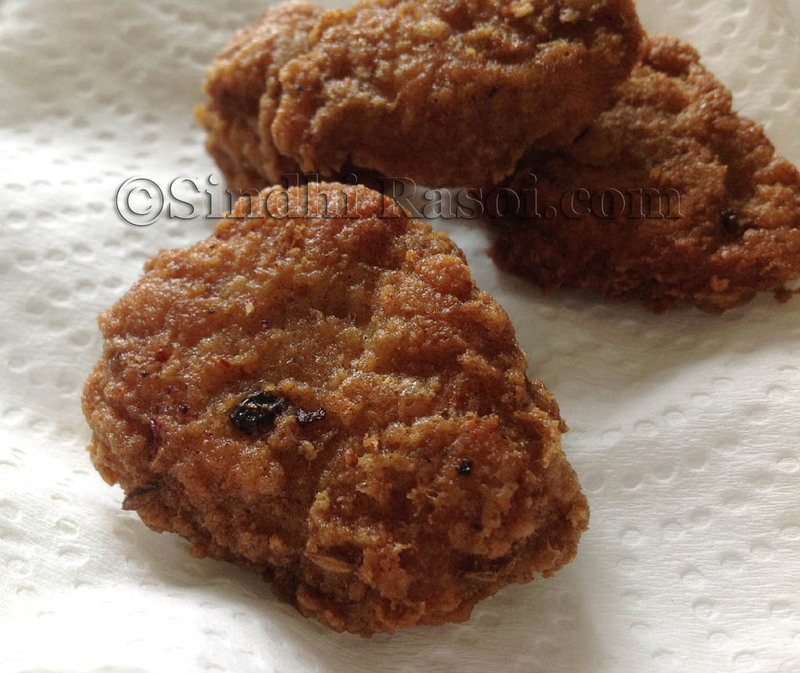 Heat some oil in a pan/ kadai and deep fry the mukundwadis till golden brown. Thank you for this interesting insight into the use of wheat gluten in India. For those living in the USA, plain gluten already made into dough is sometimes available in the refrigerated section of Chinese groceries. It is mich cheaper than the seitan sold at health food stores for more than $7/lb. Also found in Chinese groceries are 2 canned wheat gluten products, whose canning juices can be washed away, although the nuggets themselves have been fried: they are called vegetarian duck and fried gluten. I like the quality and taste of the latter, drained of all oil and liquid. About $1.29 per small can of 6 oz. At health food stores, you will find enriched wheat gluten, which I think is flour enriched with gluten, not pure wheat gluten, which also exists. Where it can be found, I have not been able to discover, although all seitan makers in the USA import pure wheat gluten from China and hydrate and prepare dough from it on site. So, if people are concerned about various Chinese agricultural products, caution should extend to US seitan, no matter what health food store sells it!! Sir bhieah ptata miss it,vdriyo ptata.